Location, location, location. 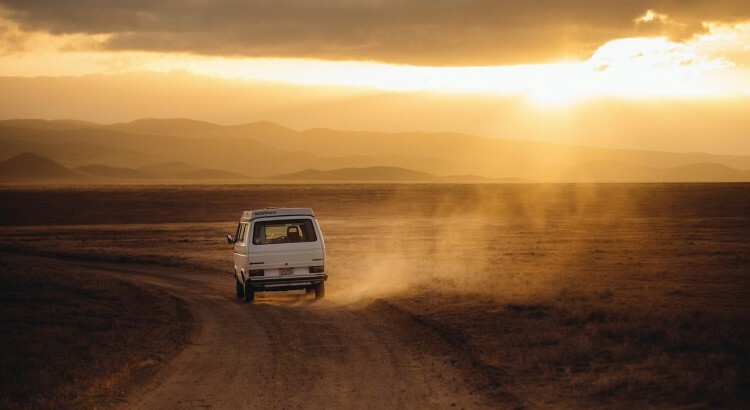 Much like real estate, finding the perfect location for your next international film or photo shoot can mean the difference between triumph and failure. Location scouting is a crucial step in the pre-production process and takes an extreme amount of time, patience, and diligence. But don’t fret, with just a few tips your next international location shoot can be well managed and less stressful. While having a location manager is the most practical option, you might find it helpful to have a local crew scout a location for you. Local crews have an intimate knowledge of the area and can be your best guide to finding those cool little gems off the beaten path. A local-based crew can also help lower your travel costs, give you the inside on local conditions, and navigate through any language barriers. It’s tempting to want to go out and scout the location for your international film or photo shoot before your script is complete. However, having a completed script will not only save you money, it will cut down on the time spent selecting the location. Your script will dictate the time and season of your shoot. If the shoot calls for daylight you might be able to get away with just the natural light. But, if the scene or photograph calls for a night setting, extra equipment will be needed. Most of your pre-scouting questions can easily be answered with a good script. Photography is an important part of your scouting agenda. Not only will this help with lighting, but it will give you a different perspective on focal lengths. The surrounding architecture like buildings and windows, depending on the time of the day, could give off unwanted reflections. High-quality sound is critical in a film shoot. And, anything from the surrounding traffic, weather or environment can ruin the perfect location. Make sure your location scouts are prepared with the right equipment like a camcorder, microphone and headphones to test any interference. You might want to look into hiring a professional boom operator or sound mixer as they have the correct experience to overcome any unwanted sounds. Taking notes is another way to capture a location’s essence. This will help you evaluate whether it is the right place for your shoot. Environmental surroundings: buildings, windows, trees, bridges etc. Will you need a generator? Other forms of power? Note the flooring or terrain: smooth, level, hills, sand etc. The Global Media Desk has been providing experienced locally-based production crews, boom operators and photographers for over 15 years. Please contact us with any questions you may have about location scouts in a specific country or request a free online quote to see how we can make your filming or photo shoot a complete success. Lit up by fireworks, stars, and the glowing moon, the summer night sky can be a pretty spectacular sight. But capturing those breathtaking views when you don’t have your trusty DSLR can be more than a little frustrating. With just a few simple tips you can photograph the night sky with your phone like a pro and say goodbye to grainy dark photos. For the best pictures, finding your ideal photo position is the first step. 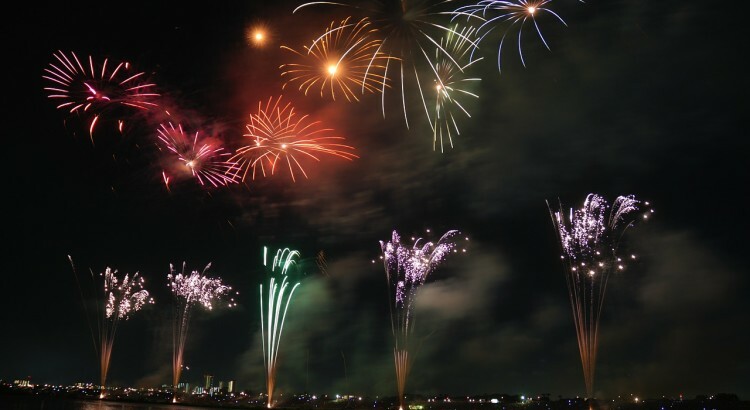 If you are photographing fireworks, scope out the area beforehand and find the best vantage point. Be prepared if it’s a windy night. Smoke could affect the look of your photos. Using a tripod can keep your phone steady, which is essential in low-light conditions. There are numerous smartphone adapters and tripods available on the market ranging from $10 to $50 depending on your preference. Keep in mind we don’t recommend the ‘selfie-stick,’ since plenty of places have chosen to ban them. Just check the rules before packing for your trip. The flash on most smartphones only lights up about 10 feet in front of you, which can turn the crowd and the night sky into an abyss of darkness. 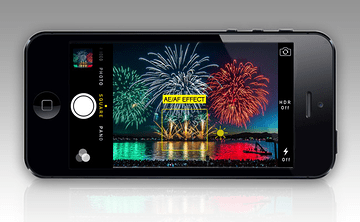 The HDR setting will only slow down your camera phone, which is exactly what you don’t want during a fireworks show. Try avoiding the zoom feature, as it will reduce the image quality and add more graininess to your photos. If you are using an iPhone’s native camera app with iOS 8, there’s a new tool for manually adjusting the exposure of your photos. Simply tap and hold the screen, when the AE/AF LOCK pops up, scroll up or down for your desired exposure. You can also try downloading a third-party app like NightCap or Night Modes for iOS, Camera FV-5 for Android, or CameraPro for Windows Phones, offering more flexibility. Some phones, such as the Samsung Galaxy, already offer a night mode or manual control of ISO settings. If you are using a tripod, set the ISO to a low value such as 100 or lower to get the best results. If you are not using a tripod, then a higher ISO would be a better option. Experiment beforehand to make sure you get the most out of your nighttime photos. If you are really serious about photo taking with your phone, there are tons of add-ons to make your smartphone camera act like a DSLR. From fisheye to optical zoom lenses, these extras can offer both versatility and quality to your phone’s camera. Share Your Best Photos With Us! Whether you are photographing fireworks this weekend for a Fourth of July celebration, or just inspired by a clear night, we want to see your photos! Use the hashtag #GMD_NightLife to share your favorite photos with us. At the Global Media Desk we have been helping organize successful photoshoots around the world for fifteen years. We have seen and done it all! Please contact us with any questions you may have about shooting in a specific country or request a free online quote to see how we can make your photoshoot a complete success.